Mark, Matt, & Frank are in studio as we get ready for the Christmas season! What were some our favorite toys we got from Christmas past and what were some we wanted that we never got? Also if you could spend the holidays with any 3 fictional characters who would it be? We have our picks and they certainly aren't what they seem! One of the great movie franchises of all time are the Rocky films and the original film just hit 40 years old. We discuss the Rocky saga and our favorite moments and thoughts on it's legacy as a classic movie series! We also talk the new trailer for Guardians Of The Galaxy Vol. 2, the video game The Last Of Us Part II, and more! 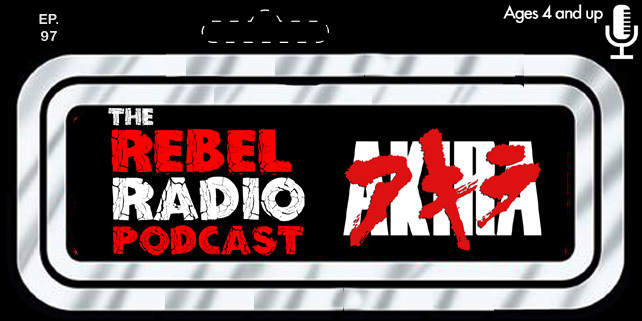 We then preview our 2016 Jedi Awards that are coming at years end in this spirited filled episode of Rebel Radio!